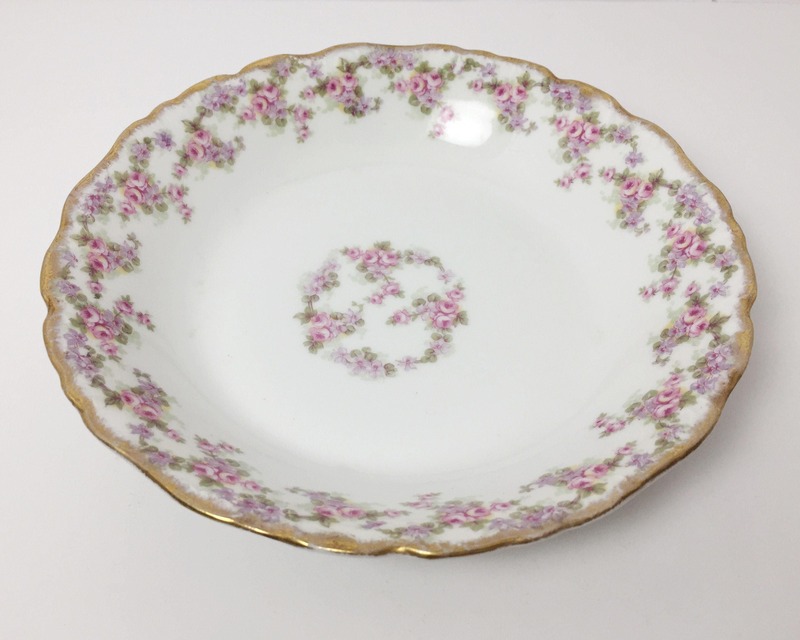 This pretty shallow coupe soup bowl is made of white paste porcelain and decorated with sprays of pink roses and violets. 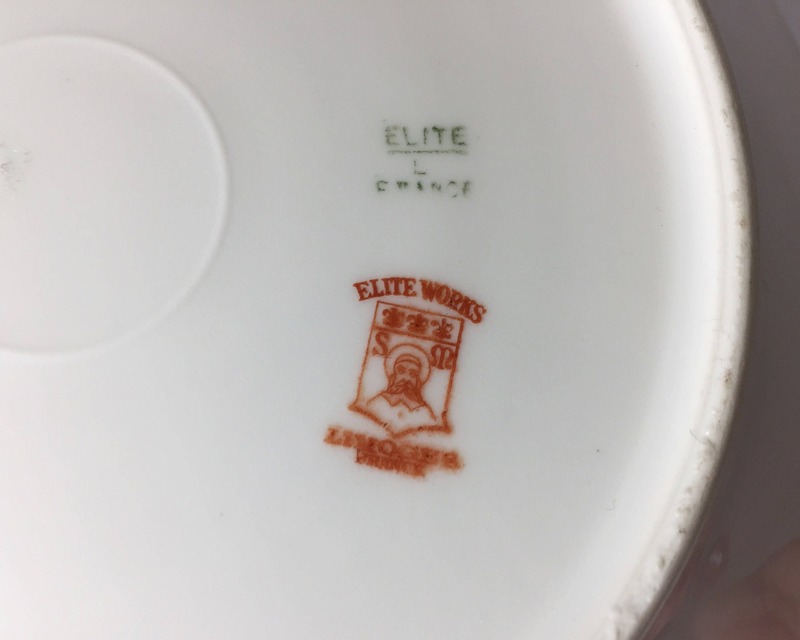 It was made in Limoges, France for Bawo & Dotter of New York for their Elite Works line of white paste porcelain, which was then imported from France to the United States for the American market. The green mark, for the manufacturer, dates the piece to the twenties mostly likely. The red mark is the decorator mark. The company ceased operations in 1932. 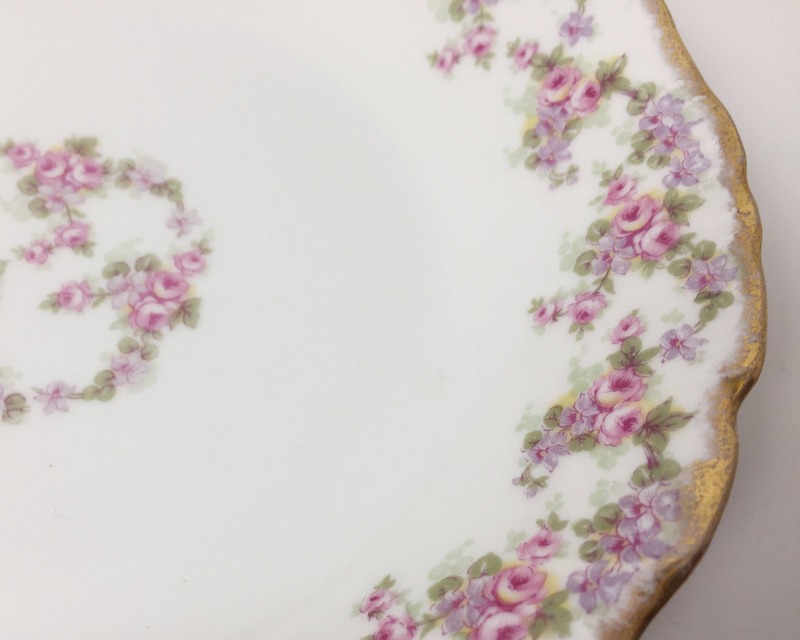 The pink sprays of roses are a popular motif on genuine Limoges, France, porcelain, and even though each pattern will differ slightly many of the pieces will go together well for the modern vintage lover. This kind of pattern is also wonderful for weddings and for bridal displays. 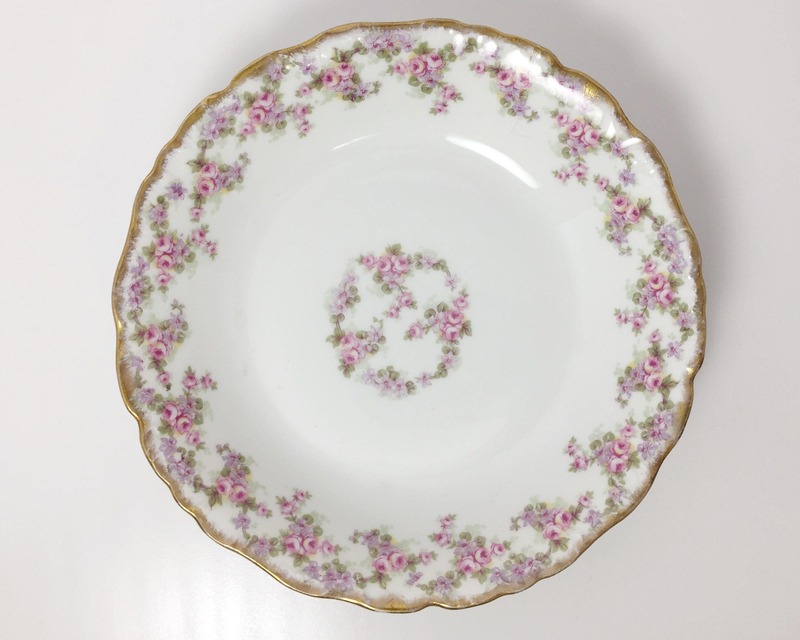 The bowl is rimmed in sponged gold. CONDITION: Excellent - no chips, nicks, or cracks. 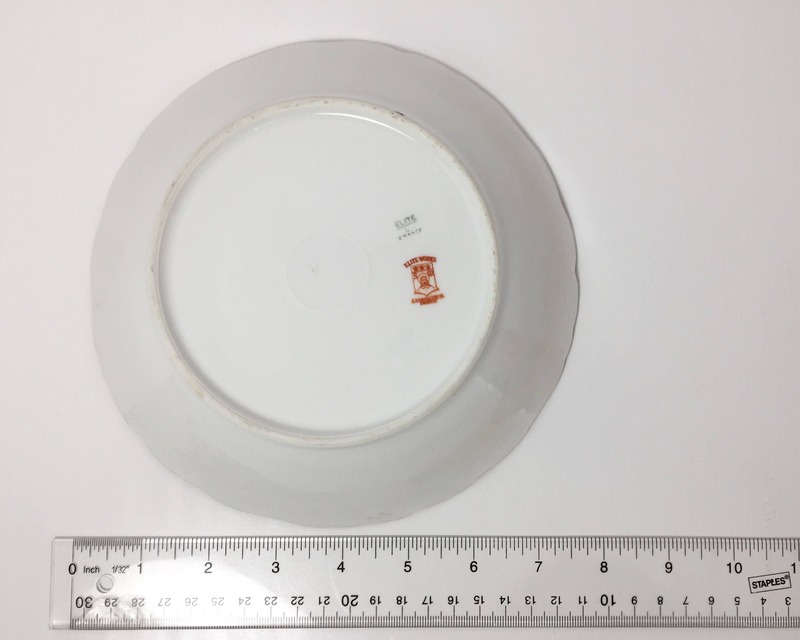 SIZE: 7 1/2 inches wide and 1 1/2 inches deep.